"Hansford County, on the northern edge of the Panhandle, is bordered on the north by Oklahoma, on the west by Sherman County, on the south by Hutchinson County, and on the east by Ochiltree County. 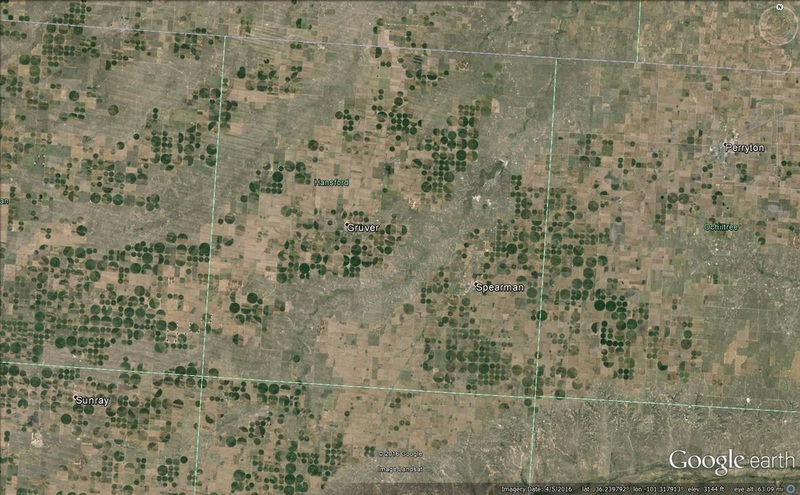 Hansford County, on the High Plains, ranges from 2,950 to 3,300 feet in altitude [and covers 907 square miles]. 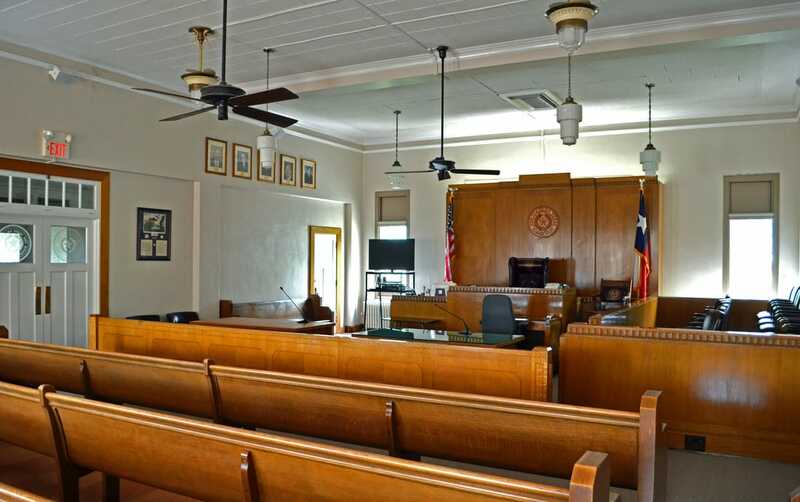 "In 1876 the Texas legislature marked off Hansford County from land previously assigned to Young and Bexar districts; the new county was administered by authorities in Wheeler County. The county was named for John M. Hansford. In 1889, when the county was politically organized, Hansford outpolled Farwell in a county-seat election. 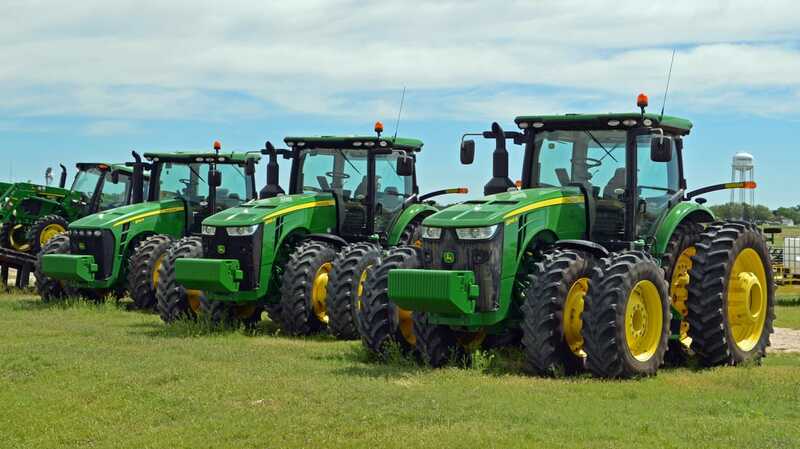 "The arrival of farmers led to major changes in the economy and structure of the county. 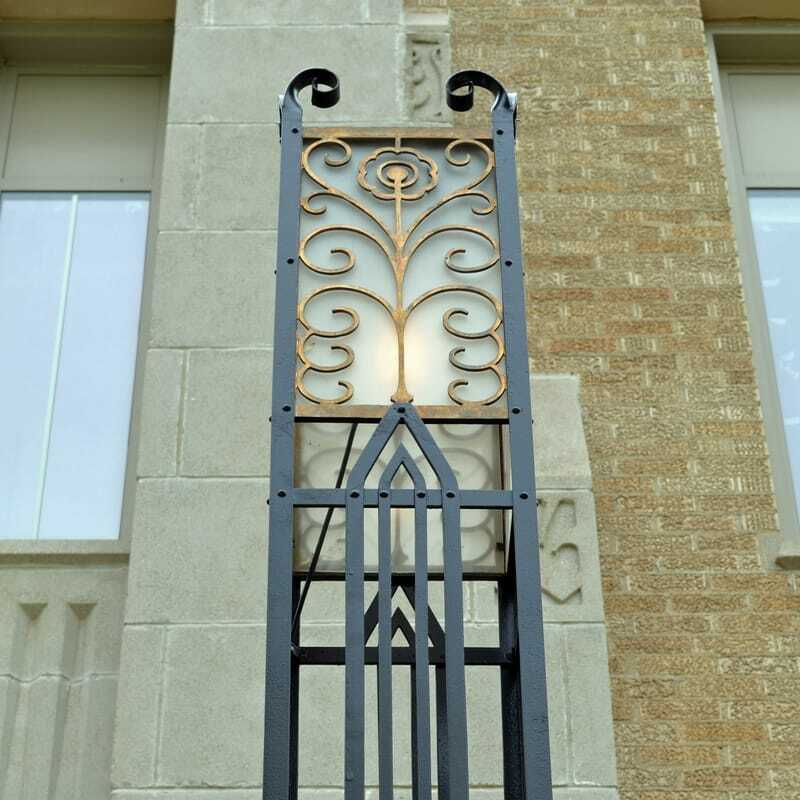 In 1920 the North Texas and Santa Fe Railway built a line from Shattuck, Oklahoma, to its new townsite of Spearman in southeastern Hansford County, and more and more farmers arrived to buy promising lands. 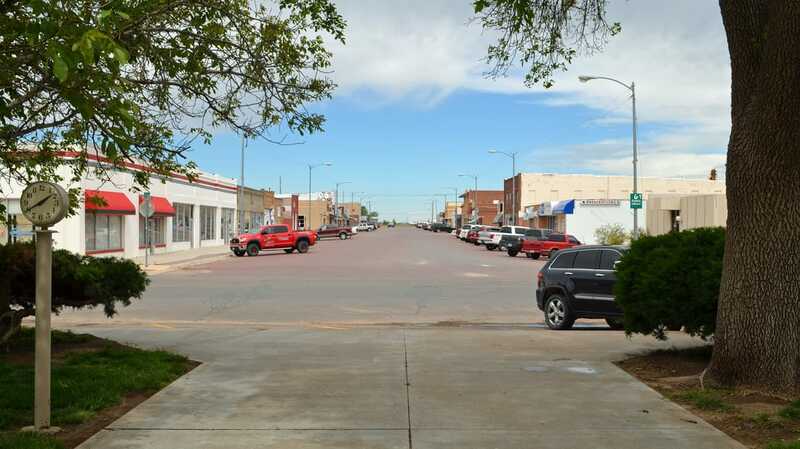 Spearman soon became the leading town in the county; it absorbed both Farwell and Hansford by the mid-1920s, and in 1929 it became the county seat. 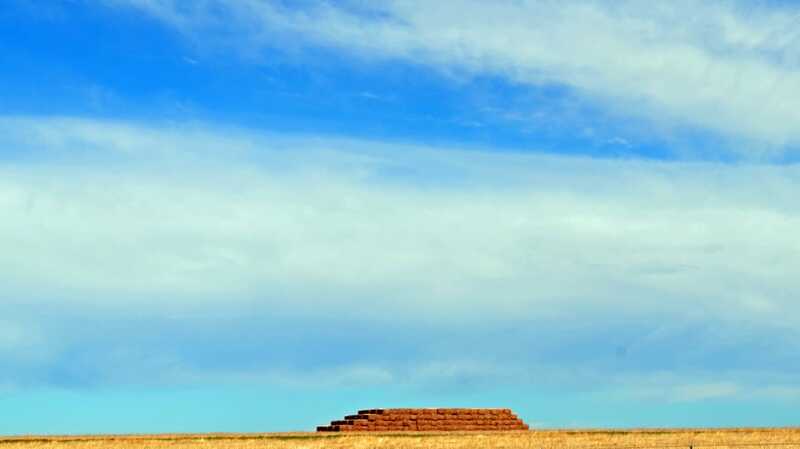 "By the 1980s Hansford County had a diversified economy based on agriculture, oil, and transportation. In 2002 the county had 290 farms and ranches covering 593,063 acres, 54 percent of which were devoted to cropland and 45 percent to pasture." 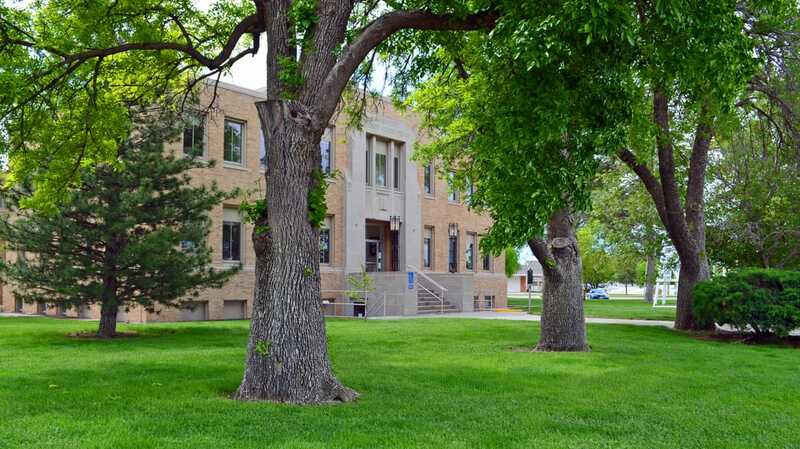 Handbook of Texas Online, H. Allen Anderson, "Hansford County"
I visited Hansford County and photographed the courthouse in Spearman on May 9, 2016. Approaching Spearman from the southwest, on Texas Highway 207, from Stinnett. 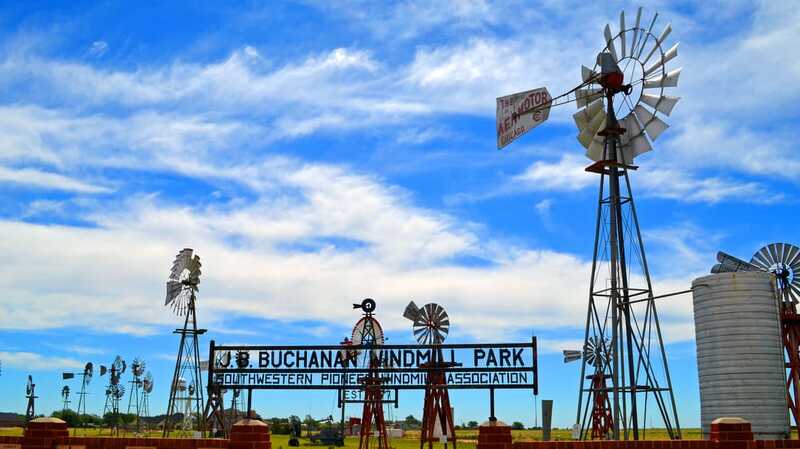 Mr. Buchanan was a collector and restorer of windmills, and had numerous windmills on his farm between Stinnett and Spearman, TX. He was a gracious host and his windmill collection was quite impressive. Mr. Buchanan passed away on January 7, 2003, at the age of 96. Before his passing, Mr. Buchanan donated his windmills to the City of Spearman and to the Smithsonian Institution. Those donated to the city were moved to a new location that has now become the J.B. Buchanan Windmill Park. 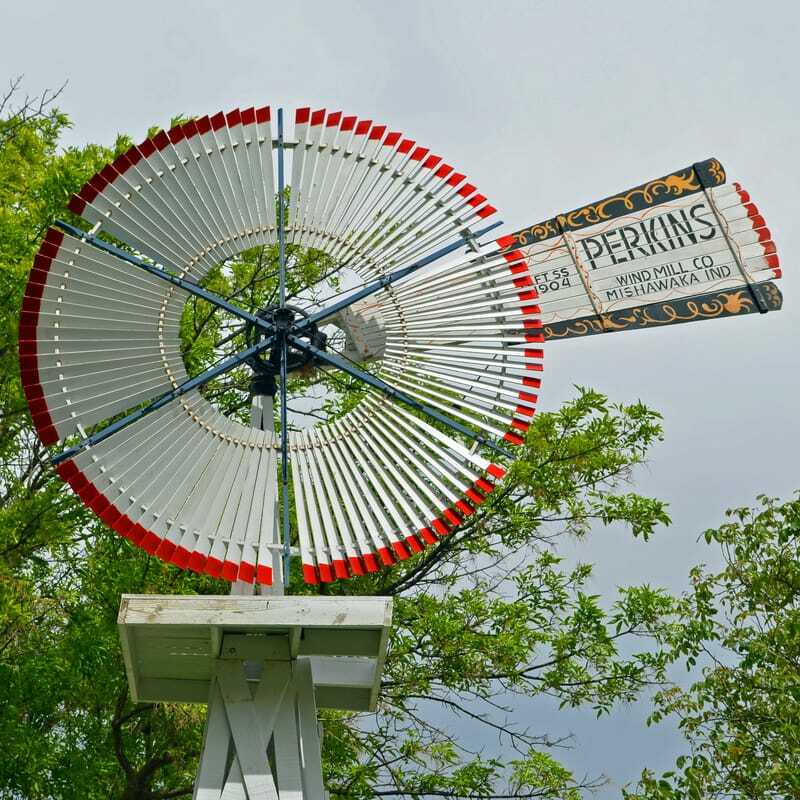 In addition to the park, the City of Spearman, which is located at the very top of the Texas panhandle, has adopted windmills as their theme, and many businesses have a windmill out front. 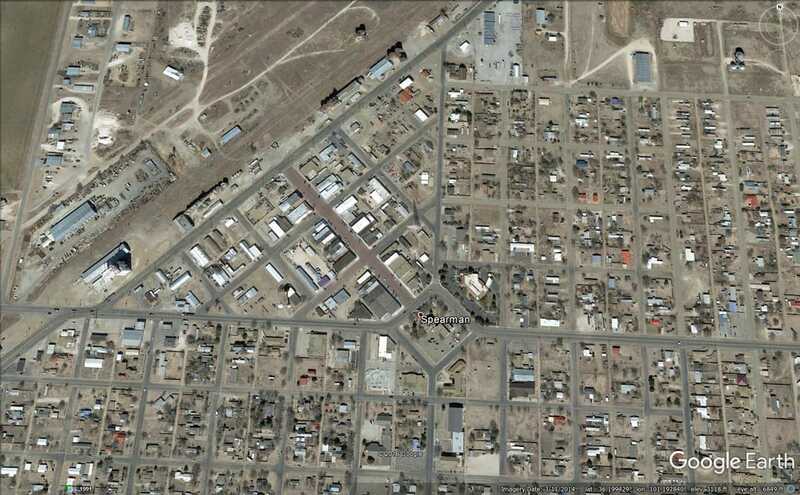 The unusual orientation of the city grid is evident in this aerial view. The courthouse square is linked to the site of the now demolished railroad station by Main Street. The courthouse, designed (according to one source) by Abilene architect David Castle, faces northwest, towards the railroad station (now demolished). The courthouse is on the northwest side of the square. 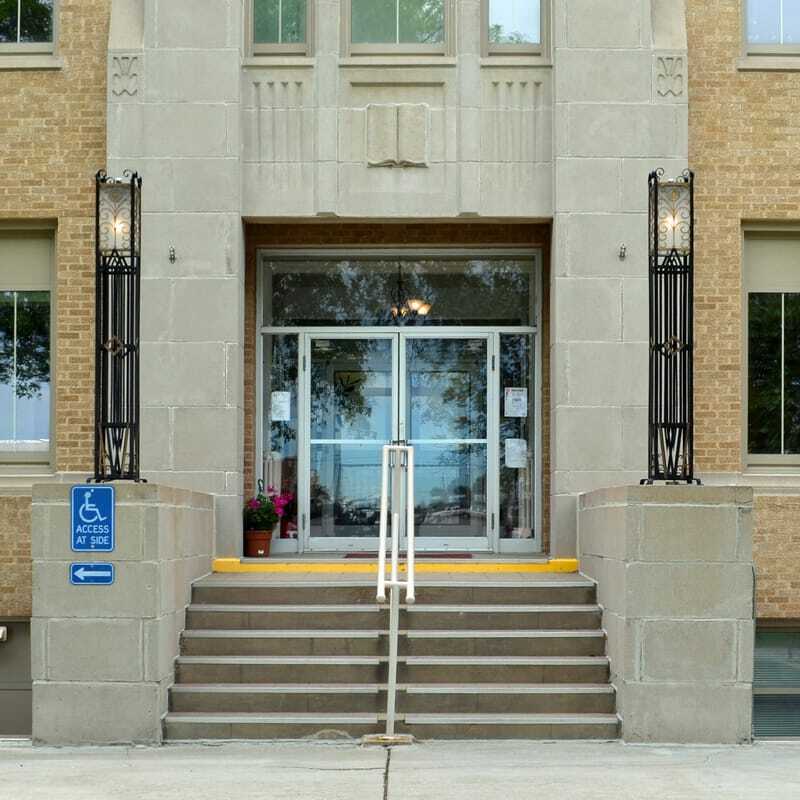 A 1958 addition occupies the southeast corner. The view down Main Street from the front of the courthouse. 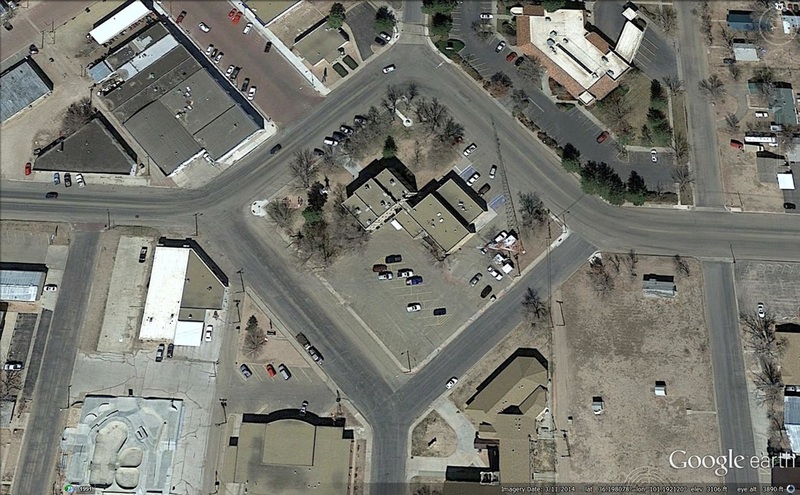 The railroad station was at the end of the street. There's a large, antique windmill on the west side of the courthouse. The south corner of the courthouse. The 1958 addition is on the right. The northeast side of the courthouse square. Trucks only, no cars allowed! The 84th District Courtroom on the second floor of the courthouse. 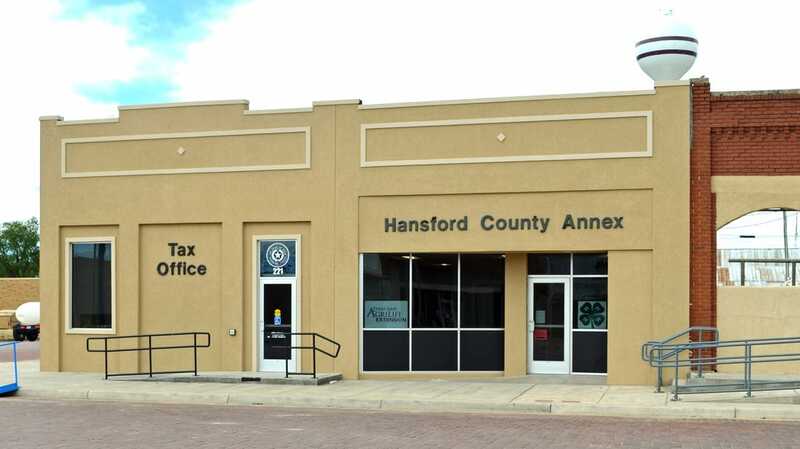 The Hansford County Annex is on Main Street. 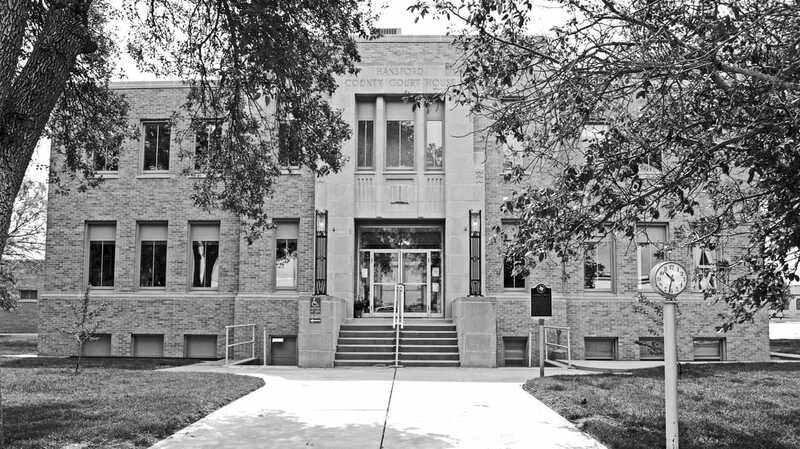 The mid-century modern city hall is on the southwest side of the courthouse square.